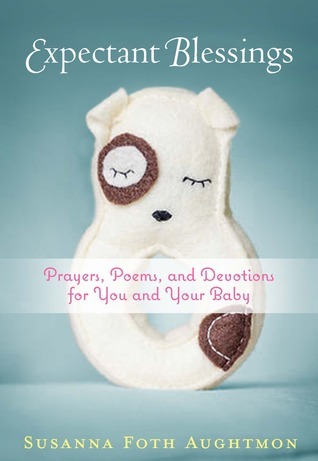 Written from a mother’s heart and born out of a mommy’s desire to connect with her unborn baby, these powerful prayers, devotions and original poems will touch the heart of both mother and baby alike. Children are God’s unique gift to parents. Pregnancy is a time of celebration, discovery and learning to love someone you don’t know. Readers will invest in their relationship with their unborn child by praying over him or her and beginning to share the Good News and how much they are loved even before they arrive. Each reading will reassure and grow the faith of the mother as she spends time in prayer throughout her pregnancy. Expectant Blessings is a very neat little devotional jammed packed with devotions as you prepare for your little expectant blessing over the next nine months. I love the material of this devotional book. The paper has a great feel to it. It isn't a cheesy devotional. In fact, it's down right funny. While the chapters are short, author Susana Foth Aughtmon will make you laugh, which is perfect. She addresses many of the fears that come with being pregnant, especially new moms and this devotional is so unqiue because it's way for you to connect with God during the time of your pregnancy rather than be worried about your waist size, how he's going to provide or what will you name your child. You'll like this devotional. It's very calming and relaxing, especially as you prepare the way ahead over the next nine months. Thank you to the folks at Worthy Publishing for providing me a complimentary copy in exchange for my honest review.